Liver flukes. 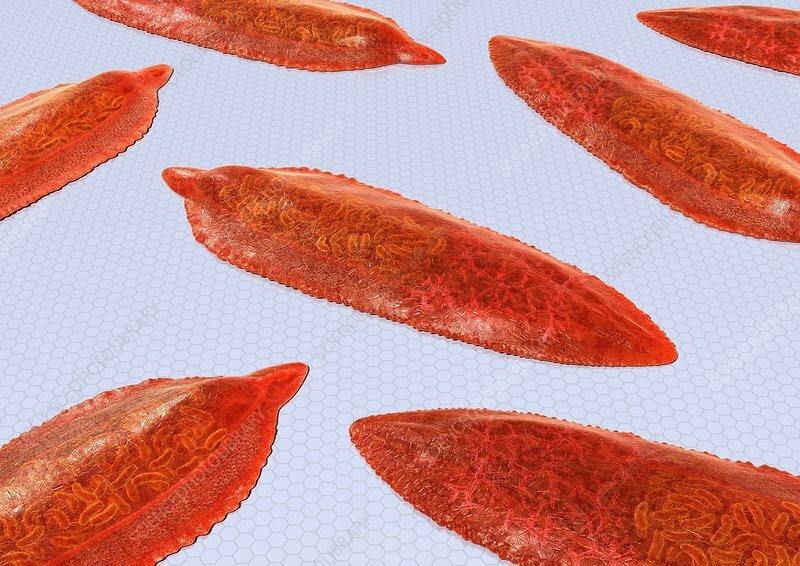 Computer artwork of Clonorchis sinensis liver flukes. These parasitic flatworms live in the liver of humans, and are found mainly in the common bile duct and gall bladder, where they feed on bile. They are endemic to Japan, China, Taiwan, and Southeast Asia, and are believed to be the third most prevalent worm parasite in the world. Humans are infected by eating infected raw fish.